One day I’m drinking frozen beverages to keep cool (on vacation) and the next day I’m eating hot soup to keep warm. Wow, that messes with me. I am trying to adjust to anything colder than 85 degrees F weather (I miss Turks & Caicos). Plus, it’s freakin’ cold out, yo! Sorry, about that. I’ve been channeling my inner hip hop ever since bumping into Coolio at the JFK airport on the way home from vacation. I was totally freaking out inside. We exchanged smiles but I wasn’t brave enough to strike up a conversation or ask for a photo. Anyway, one way I like to stay warm is by eating soup. I found this soup recipe in a cookbook that my friend gave to me and my first thought was “that looks good.” My second thought was “what the heck is a vichyssoise?” Well, it’s a thick soup made of leeks, onions, potatoes, cream, and chicken stock. 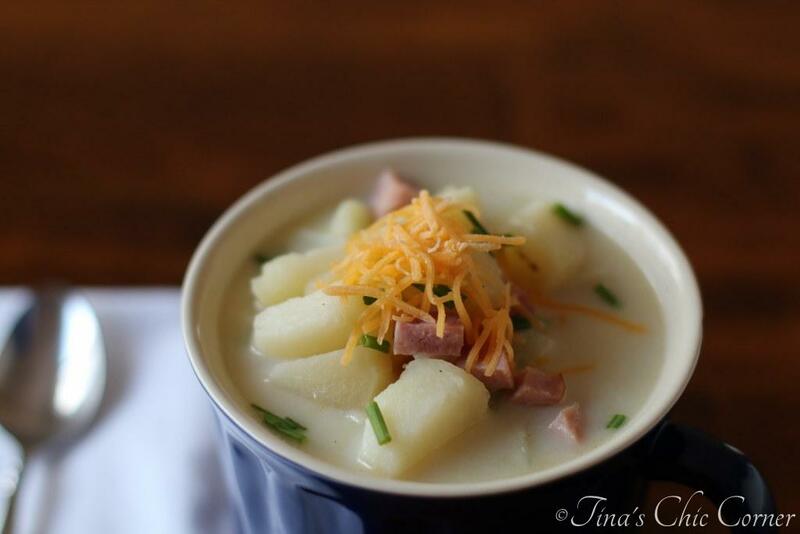 This vichyssoise recipe is a tad modified from its traditional definition. I used a red onion instead of leeks because I’m a bit more familiar with onions and they are a little cheaper too. I used milk instead of cream in order to cut down on the fat and calories. Vacations = extra unwanted pounds. The milk does a fine job here. Finally, I swapped out the chicken stock with veggie stock so I could call this a truly vegetarian version. 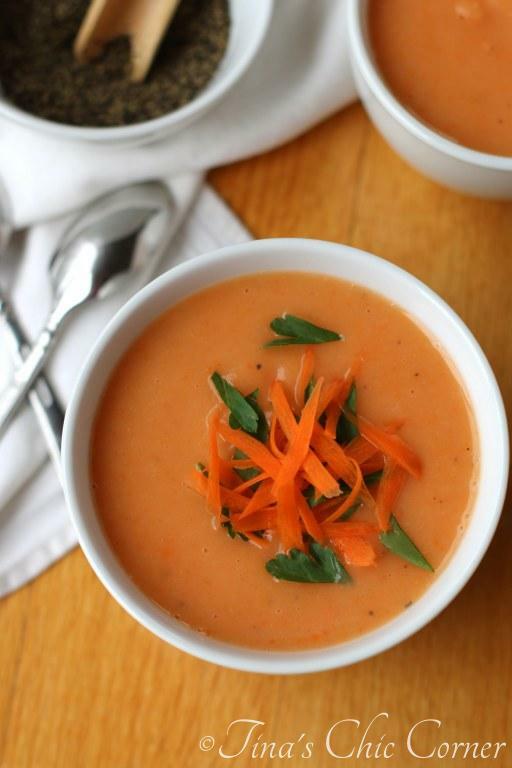 One tasty and healthy soup coming right up! By the way, you don’t have to get caught up on what size potatoes you use. Please don’t go using fingerling ones though. Use average size ones. Essentially, if you have more potato, it will be thicker and not as orange looking, but it will still taste pretty much the same. My husband and I enjoyed a big bowl of this hot soup. You know because everything this time of the year is big and cozy, like that over sized sweater and those thick blankets. I’ve also been enjoying it every day for lunch this week so that kind of proves it reheats well. Guess what? You can also eat it cold. Cool, right? Literally. Imagine this as a cold soup served up in little shot glasses in the summertime as appetizers or in pint glasses as a meal. Shout out to all my Australian readers who are headed into their summer season!! In a large pot, combine the potatoes, carrots, red onion, and vegetable broth. Use an immersion blender and puree the soup right in the pot. If you don’t have one, you can use a regular blender but you will need to it in batches, will need a second pot to pour the blended liquid into, and you will need to be careful moving hot liquid around. Gently mix in the milk and season with salt and pepper. Bring the soup to a simmer and heat through. 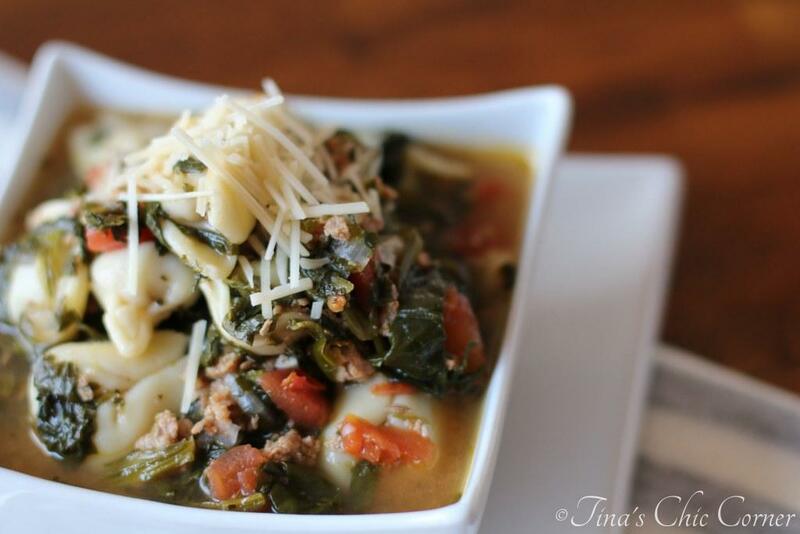 Here are some other superb soups. haha it got really cold out by us too! Happened so quickly! 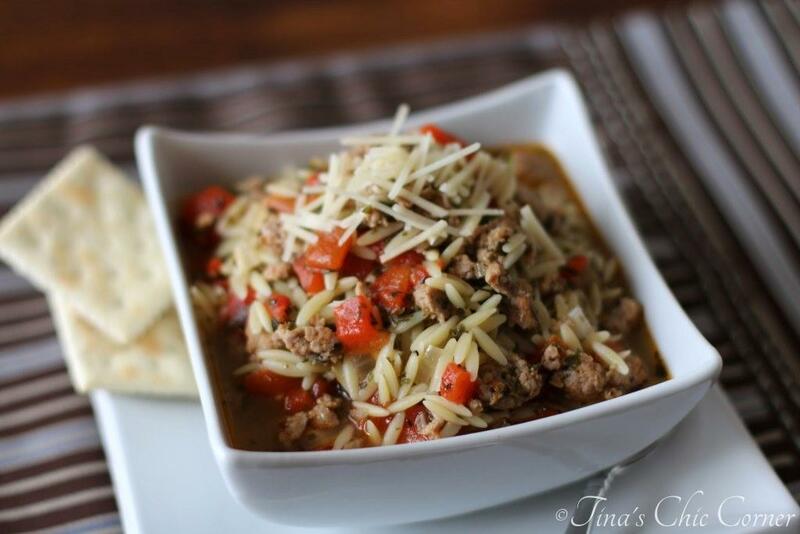 I would definitely like to cozy up with a big bowl of this soup! Haha, I had absolutely no idea what vichyssoise was either before reding this and the link you made to Wikipedia 😉 It sounds lovely! I love how you added milk instead of cream! Lovely soup! So pretty and comforting and it looks like many are suffering from this big snow storm. Did you enjoy your holiday? Vacation was perfection. 🙂 I wish I was back there… especially with all the pending snow. I didn’t know what vichyssoise was until I read this post. The carrot version looks really good, and I love the color! Returning to normal life after vacation is always hard…and then throwing in the cold temperatures, too. No fun! I want some warm weather. But I’ll have to settle for this fab looking soup. Oh, and you totally should have gotten a pic with Coolio. Life’s too short! Ugh, I know!!! I’m seriously regretting that!